People may be talking about what a good job Sarah Paulson is doing on The People vs. O.J. 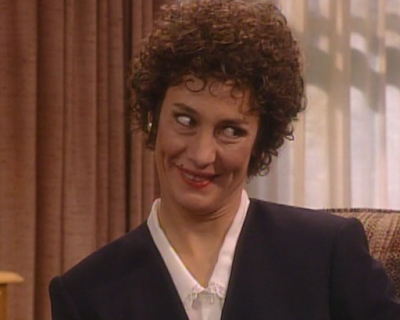 Simpson in playing Marcia Clark, but I keep thinking of the actress who donned that curly moptop before her, and even before Tina Fey on Kimmy Schmidt: Laurie Metcalf on Roseanne. I looked online and couldn’t find the scene posted anywhere handy, so I created a clip of it myself, just in case you maybe haven’t seen it or did see it and wonder if perhaps you dreamed it.